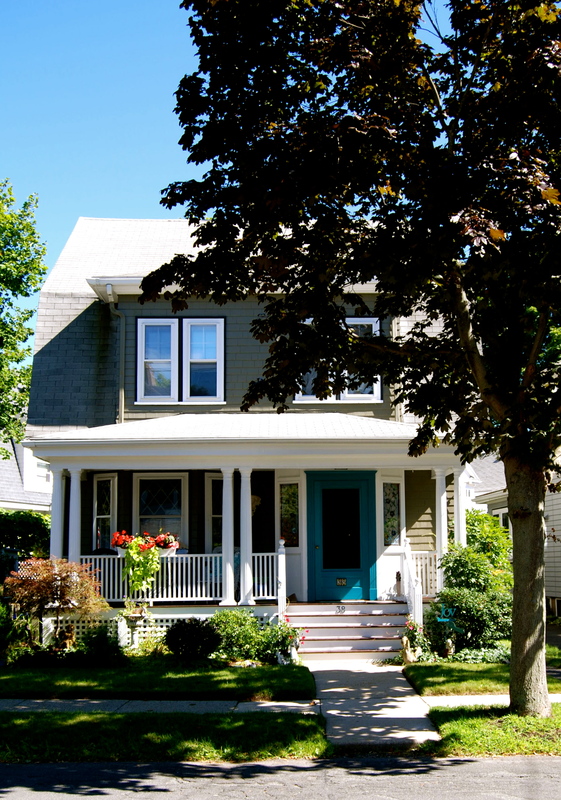 When improving your own home, it’s impossible not to notice homes around you. I’ve always loved walking in random neighborhoods, looking at different homes, seeing the way people keep them up (or don’t!) So when my friend Jamie and I set a date to meet up for a stroll every month, I knew she’d be up for a little house stalking! This time, the neighborhood was just outside my door. Winthrop is full of interesting homes. Some new, a lot old, grand estates, and tiny cottages. In fact, Winthrop used to be filled with cottages. It was settled in 1630 by English Colonists as Pullen Poynt but later got it’s name from John Winthrop, the second governor of the Massachusetts Bay Colony. 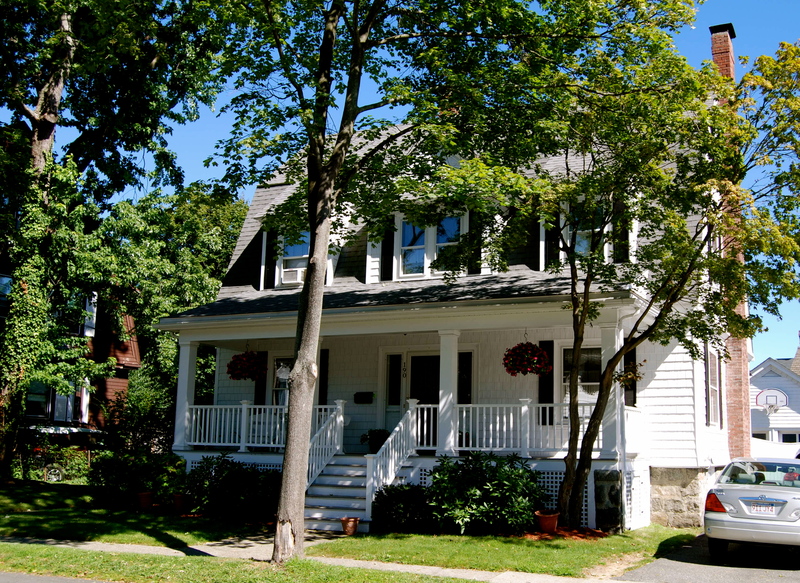 Bordering East Boston, Winthrop is a peninsula with 7 miles of shoreline. With the Atlantic Ocean to the east and Boston Harbor to the west, Winthrop became a popular vacation spot and summer weekend retreat for prominent Bostonians. Many of their cottages have been remodeled and almost all winterized to become year round residences but the town retains it’s coastal charm. 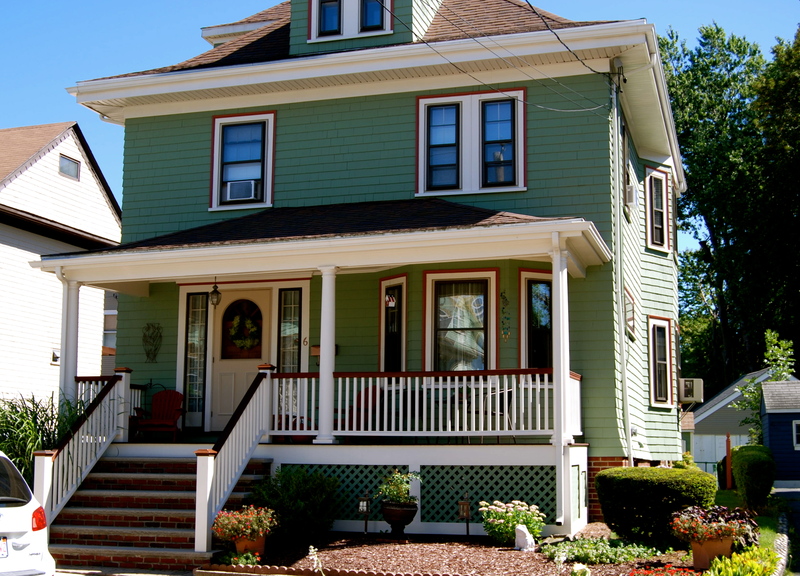 Take this lovely front porch for example. 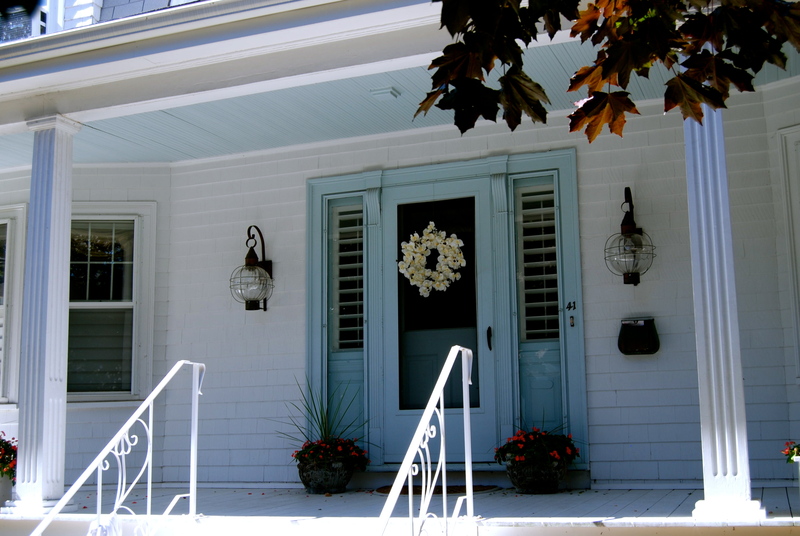 I love the nautical lanterns and sky blue door and porch ceiling. 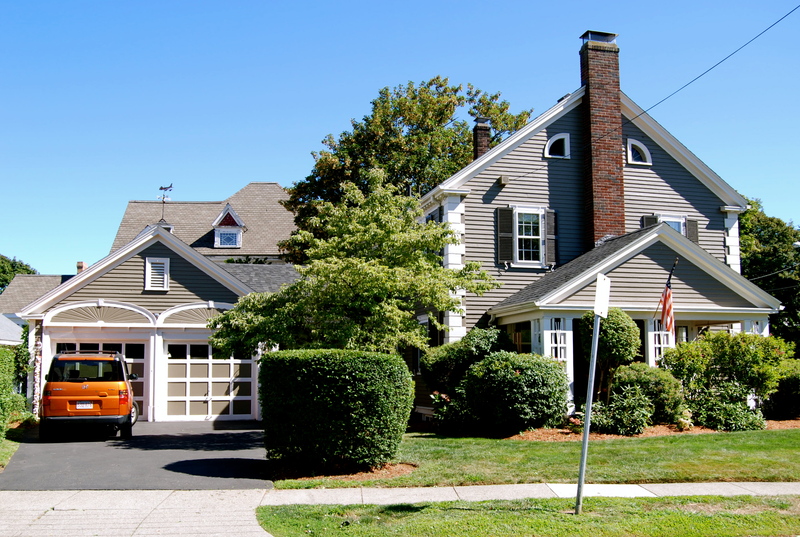 This home has an adorable cupola with a lighthouse weather vane perched at the top. The pergola surrounded by greenery seems like the perfect little quiet retreat. Another cupola above the garage. I think this one was a lobster. Oh sorry- lobstah! And talk about an ocean view. 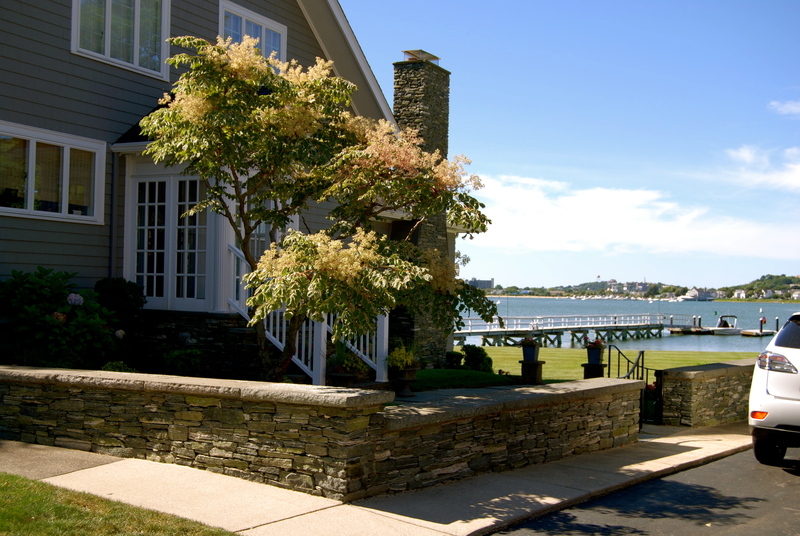 Most people in town would recognize this beauty of a home complete with it’s own pier. 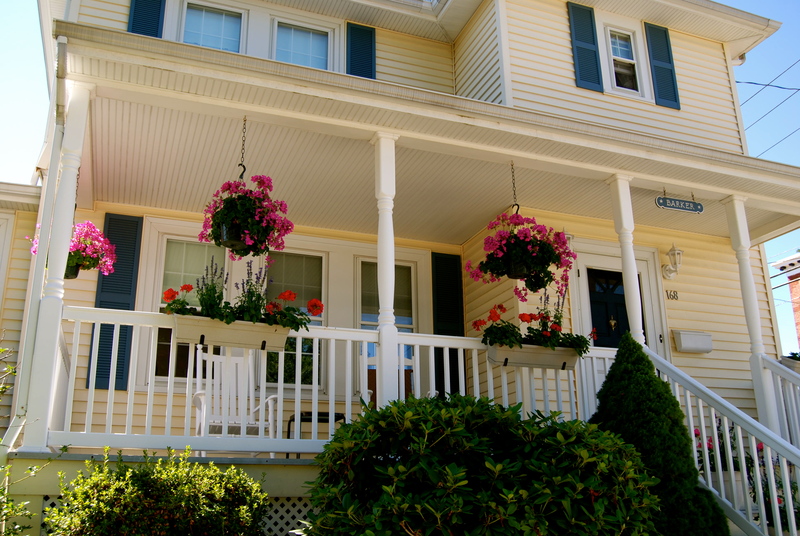 There are so many great porches in Winthrop- like these lovelies. And looks like I’m not the only one obsessed with a statement mailbox. 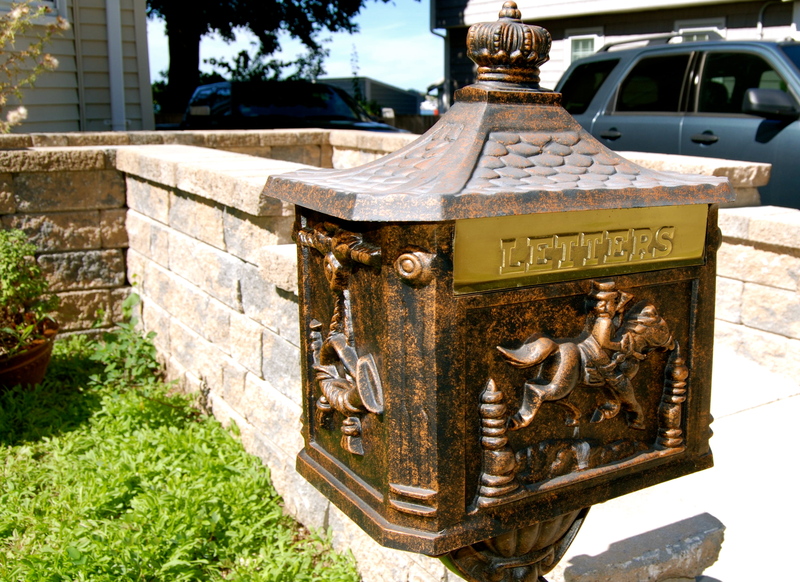 We saw a couple of these old bronze letter boxes. I think a prominent front door is key. It’s your home’s first impression. Make it a good one! Love this cedar looking front door and steps. And this turquoise door is a cheery surprise. I hope all homeowners didn’t mind my photos and compliments! Kudos to you Winthrop homeowners! You make us look good! 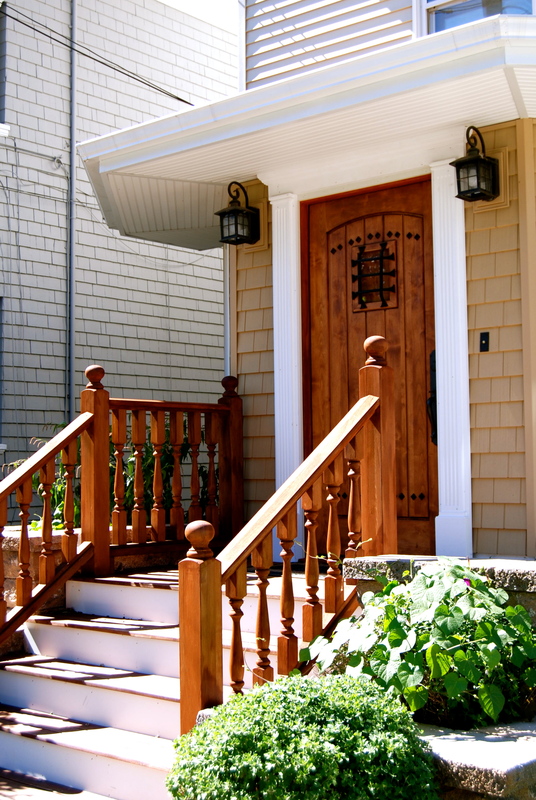 This entry was posted in Decor and tagged curb appeal, house exterior. Bookmark the permalink.